You're in the right spot! Alpine Eagles offers programs for boys and girls in 1st through 8th grade (divided into divisions by grade: 1st–4th, 5th-6th & 7th-8th). No previous lacrosse experience is necessary, so don't worry if your kid has never played. Many of our players have only picked up a stick in the last year or two, and every season we add more new kids to the program in every age division. For those brand new to lacrosse, check out the videos below for an overview and history of the sport. Interested in becoming a sponsor of Alpine Eagles Lacrosse? Want to participate in your local community? 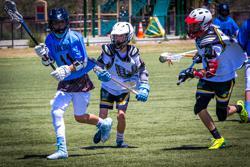 Become a sponsor for Alpine Eagles Lacrosse and support youth in your area. ©2019 Alpine Eagles Lacrosse / SportsEngine. All Rights Reserved.